Following last year’s series-opener from Airwave, Audio Noir accepts Bonzai’s ‘In The Mix’ baton-pass and heads up their second ‘Progressive Sessions’. Over the last few years, the Australian has built up a decent release list. Most recently, his ‘Progressive Tales 2’ EP proved to be an example of both his musical savvy and – across its three tracks - heterogeneous styling. Having released his ‘Artificial Star’ album debut last year, through ‘In The Mix 002’, he turns his attentions to another career ‘first’. 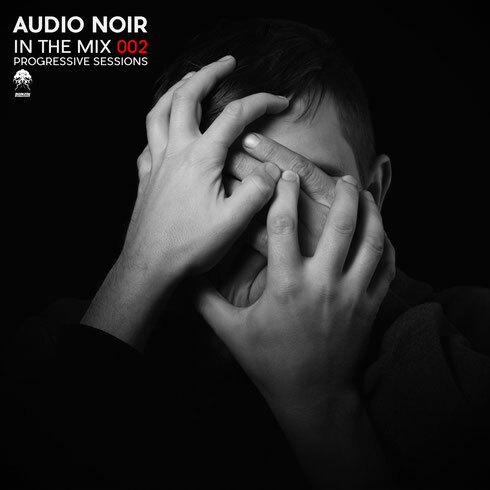 To compile the mix, Audio Noir has been curating some of the most cutting edge tracks, often inked fresh from their producers’ studios. Many of those sourced and compiled are only classifiable in the broadest of terms - ‘deep house’, ‘progressive’, ‘trance’, ‘techno’ and other expressions may not be doing them justice. Others meanwhile transcend categorisation. Channelling the spirit of Northern Exposure and the early Global Underground outings, his freethinking mix-approach should prove popular. Part one begins to build a picture of the Australian’s musical tastes. From the stark gothic-isms and dark bass rumble of its opening strains, it progresses onwards with swirling melodies, chunky drums and ethereal vocals. Latterly it encompasses rolling grooves, progressive thump, cruising synths and galactic harmonies - each programmed and sequenced. Throughout, there are tracks and remixes from the likes of Manu Riga, Tru Thoughts, Moonbeam, Sound Quelle, Dofamine, Alex Vidal, Ben Coda and others. Also inline are new remix treatments of recent Audio Noir material, including fresh Airwave, Forerunners and Yuriy From Russia interpretations. Part 2 addresses later night demands and shows the more floor-focussed side of his psyche. The mix sports tracks and remixes from the likes of Airwave, Dark Soul Project, Ruslan Vashkevich, Rise and Fall, Nico Parisi, Prelude, Luciano Delgado, Euphoric Traveller, Sylvering, AK/DK and others.